Are You Nervous , Afraid or Scared of Dentist? Is your deteriorating dental health playing on your mind? Does the thought of a dental appointment fill you with fear? Do your palms go all sweaty when you see a dentist chair? If so, you know that you aren’t alone. Many of our clients have said that they find going to the dentist to be an anxiety-inducing experience. Well, at least they did until they came to us. At Lane Ends Dental Practice, we want to make your visit as relaxing as possible. If you have these or other fears – tell us! Once we have a clear understanding of your specific needs, we can take steps to help you overcome your fears and receive the dental treatment you need and deserve. 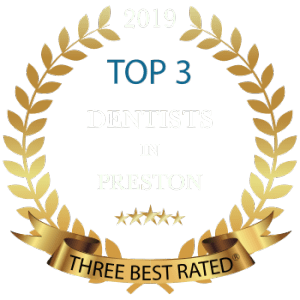 Our sympathetic, caring and most importantly, experienced Preston cosmetic dentists are here to help. We have been helping people who are afraid of the dentist with our individually tailored nervous patient programme for many years. No matter what level of dental fear or dental phobia you have, we will work to address your worries and concerns and help you to find a way around them. This is done in a relaxed manner at your own pace. Over time we find that the vast majority of our nervous patients become both happy and confident attending the practice. Dentistry and treatment options has changed a lot in the last few years and includes a variety of new techniques and methods designed for nervous patients which will ease any fears they may have. You may find it helpful to talk about your fears with others, and we can set this up for you. You can discuss your dental fears with one of us and not stay away from a dental surgery.